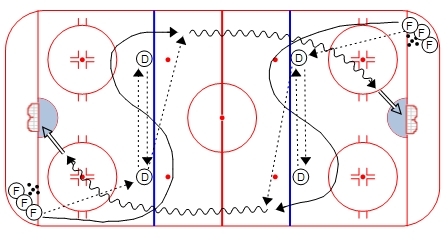 Use this Hockey Warm-up Drill to get everyone moving at the beginning of your practice! 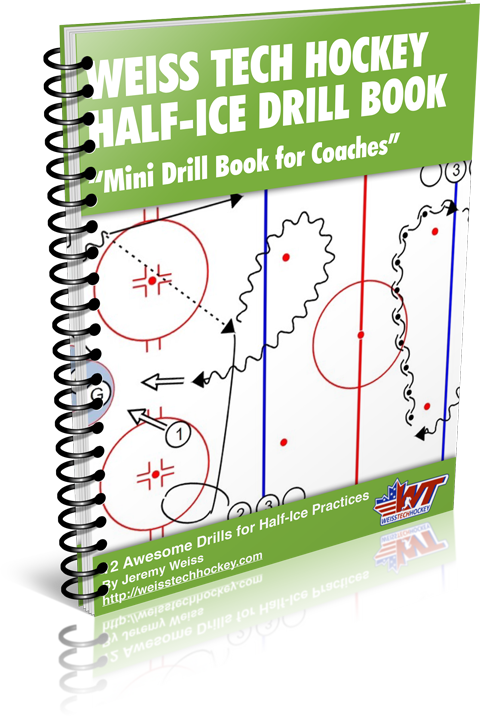 This is a great little high-speed hockey warm-up drill that incorporates many different elements of the game, including skating, passing, and shooting. 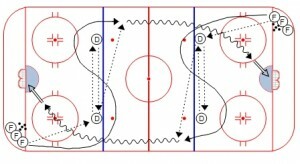 I typically have my defensemen acting as the passers, since that neutral zone “d-to-d” pass is something they will need to perform over and over in games. 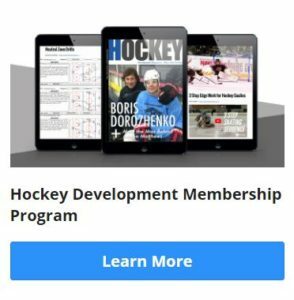 Make sure to push those defensemen to make quick, hard, stick-to-stick passes to each other, and then fire that cross-ice pass hard and accurately.